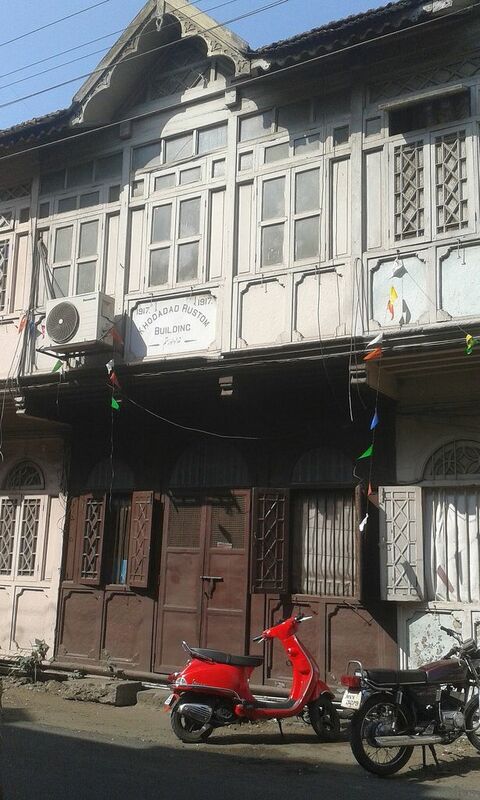 When I spotted a Heritage Walk in the Pune Camp Area on this year’s itinerary of the Pune Heritage Festival, I jumped at the opportunity to walk down memory lane. I registered for the event right away. 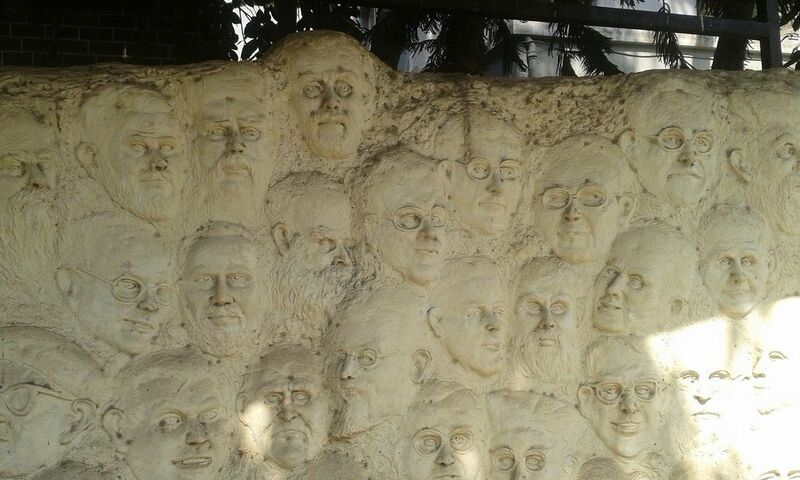 Last year, I thoroughly enjoyed exploring the heart of Pune with Virasat’s Pune Heritage Walk. This time, I decided to join the Pune Camp Walk organized in association with BeetleWalk. On a quiet Sunday morning, Dr. Ajit Apte guided us on a journey exploring the history and heritage of an area created during the British rule. 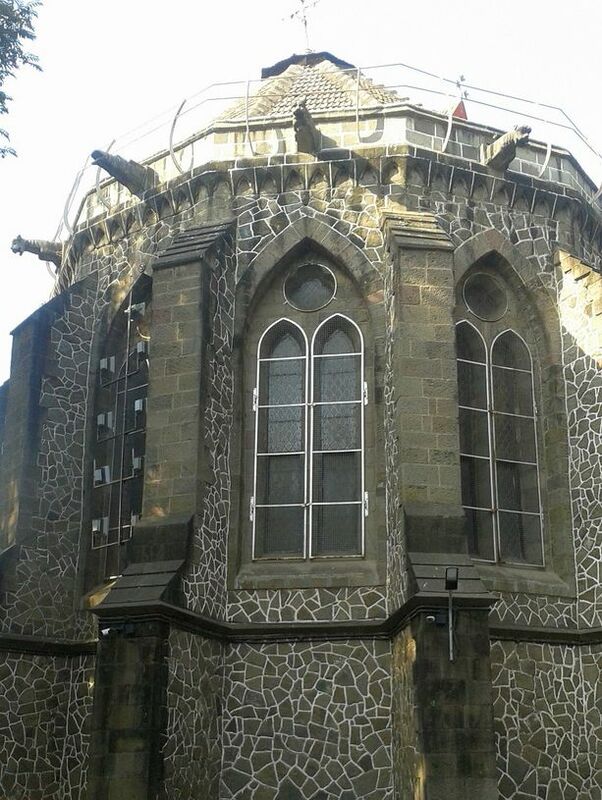 The cosmopolitan and lively Pune Camp (or Cantonment) neighborhood is home to several treasures—churches, an agiary, a synagogue, and numerous buildings reflecting the British colonial architecture. For approximately two and a half hours, we wound our way through narrow streets, admired historic buildings, visited beautiful places of religious worship, and listened to many interesting anecdotes and facts. 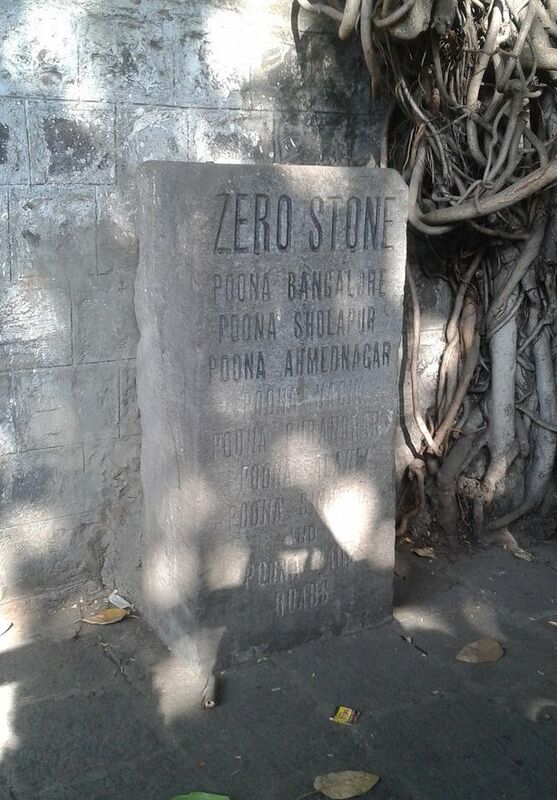 Our pleasant walk of discovery began on an exciting note—spotting the Zero Stone of Pune! With that landmark checked off our list, we proceeded to admire St. Paul’s Church, the beautiful Lal Deval or Ohel David Synagogue, and the tranquil Parsi Agiary (JJ Agiary). Did you know that the red Ohel David Synagogue is the largest synagogue in Asia outside Israel? 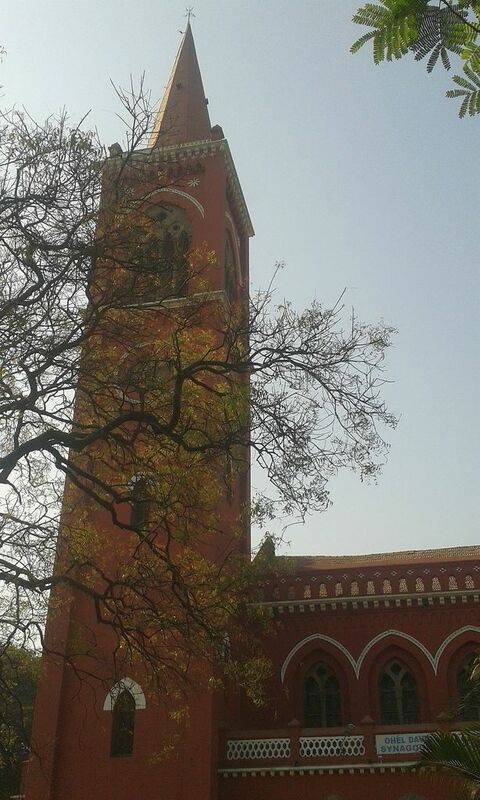 The tour continued to St. Xavier’s Church, and then, onward, to East Street. As Dr. Apte recounted the historical significance of numerous locations, I realized that I was looking at many familiar buildings from a completely new perspective. The guided tour ended near Victory theater, and the discussion (obviously) turned to Kayani Bakery. After that long walk, who wouldn’t want to indulge in some cake. Or shrewsbury biscuits. Sadly, it was a Sunday, and so, the popular bakery’s shutters were down. Well, another day! If you love city walks, head out for a stroll in the Pune Camp area. The best time? Early on a Sunday morning (yes, drag yourself out of bed)! And if you are looking for a guided walking tour of the area, contact Disha and join BeetleWalk on one of their tours.